Asked what he thought consumers wanted, Henry Ford once posited that they would ask for a better horse. Seeming to have taken this quip to heart, the late Steve Jobs spent the first decade of the 21st century building products that, far from being derivative, were tabula-rasa creations when compared to the market’s other offerings. The iPod’s click wheel and the iPhone’s touchscreen were bold design decisions that flew in the face of convention, and went on to redefine entire segments. Along with the sheer braggadocio of the iPad to exist at all when industry pundits were unable to divine how consumers would even use such a device, Jobs’s advances are emblematic of both his design savvy and his understanding of how people interact with technology. Until a few years ago, the bucking of convention in high-end audio was a laughable impossibility. With antiquated vacuum tubes and vinyl still very much at the center of many audiophiles’ systems, and SACD/CD players the rest, it would have been foolish for a manufacturer to release a product that was fundamentally different from those offered by competitors. Computer-based audio, however, has made high-end audio available to those out of reach of the listening rooms of local dealers. Many USB digital-to-analog converters are now available for well under $1000, and offer properly good sound for a remarkably small sum. In concert with continuously falling hard-drive prices, computers are now, arguably, the best and the cheapest source component for a high-end audio system. 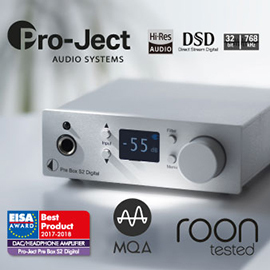 Output some lossless digital music to a small USB DAC and integrated amplifier connected to half-decent speakers, and you can enjoy superlative sound for a recession-appropriate amount of money. It is bloody fantastic to be able to sit on a couch with a laptop and have your entire music collection at your immediate, lossless, and upsampled disposal. But why stop there? 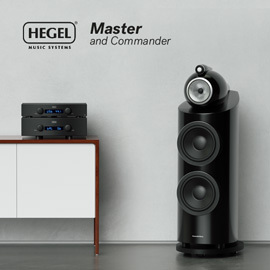 In an age when consumers not only expect but demand convenience and quality, it is unacceptable to have to assemble the following to achieve the best sound: two speakers with 5"-plus bass drivers; one integrated amplifier or one amplifier and one preamplifier; one computer; one USB DAC; two speaker cables; two analog interconnects; one USB cable; and three power cords. What is the alternative? What do consumers actually want to see and hear in their computer/bed/living/listening room? 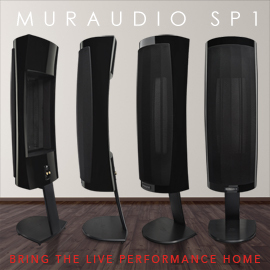 Dynaudio showed their new Xeo wireless speaker system at CES 2012. Two speakers. Nothing more. Two cabinets with multiple inputs, both analog (for the anti-digital crowd) and digital, a built-in upsampling DAC, built-in amplification, and a WiFi connection. Once a wireless data standard is established (perhaps a nonproprietary equivalent of Apple’s AirPlay), even the inputs could be deleted -- an included power cord would be the only hard wire such a system would ever need. The remote control for such speakers could be an application for our smart phones or tablet computers, which would also house our entire music library in lossless format. Priced from $500 for a bookshelf version to $1200 for a full-range floorstander, these products would practically sell themselves. Nor is this fantasy -- the hardware and software to make such products realities exist now. We are only a universal wireless protocol away from dewiring our audio systems entirely. If such systems came to fruition, I can imagine some nostalgic manufacturers and audiophiles decrying them for sullying the character of the proportionally small audiophile community, to say nothing of those manufacturers who would be put out of business by the proliferation of such all-in-one (AIO) high-end speakers. Surely, if these products became popular, the landscape of the industry would change. From the consumer’s perspective, however, what happens to small manufacturers is irrelevant. What consumers want -- audiophiles and “mere” music listeners alike -- are products that sound good. While the former are often willing to pay far more than the latter for such products, and have very specific ideas about what sounds good and what doesn’t, taking high-end audio to the mass market benefits both groups. All it takes is one well-executed product to invigorate a market segment. Ten years ago, the notion that a specific telephone or tablet computer would be a “must-have” product, with customers camping overnight in front of stores for the privilege to be among the first to own one, was unfathomable. 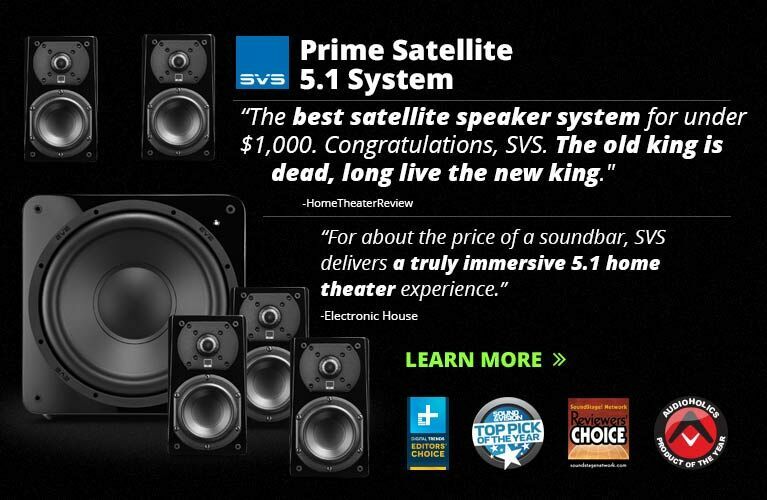 Why couldn’t a pair of AIO speakers inspire a similar response? A single successful product in this new category would open the market for investment, and wide open for potential profits. It is well known that audio-equipment manufacturers currently enjoy significant profit margins on their products. In the future, though, the aim for high-end audio manufacturers would be not to maximize profit margins on the small numbers of AIOs sold through local dealers, but to lower profit margins in order to sell huge numbers of AIOs through national retail chains. However significantly this would alter the current high-end audio model of manufacturing and distribution, the potential upside for the victors would be enormous. The biggest winner would be the consumer. For those currently under the impression that Bose sells state-of-the-art gear, AIOs would be revelatory, offering shockingly good sound. They would be equally revelatory for people like me, who are eager to rid our living rooms of cables and multiple metal boxes without having to sacrifice sound quality in the process. And so, to the audio manufacturers whose products I listen to, review, and, to varying degrees, enjoy, I propose the all-in-one high-end loudspeaker. 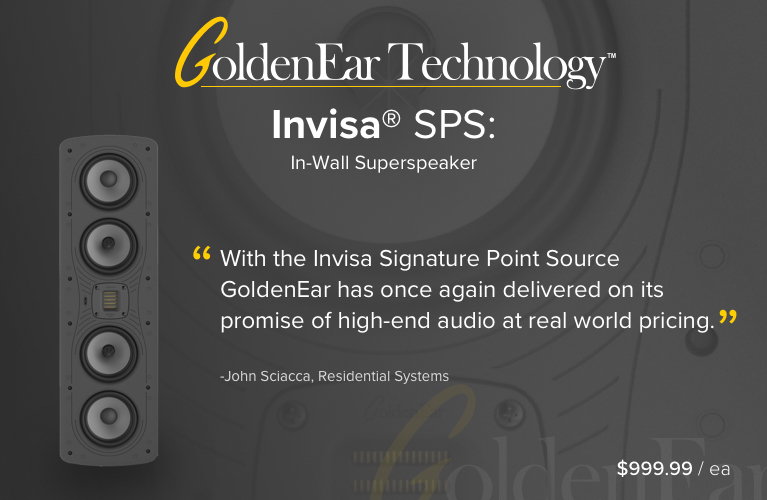 In a post-Jobs tech market, it is the product that will appeal not only to audiophiles, but to anyone who likes music. Gone will be the days when listeners had to go to a local dealer to compare power amps made by two different small companies. Rather, companies will have invested millions of dollars in researching the cutting-edge engineering and industrial design required to produce AIOs of the highest fidelity -- products that will put our current “hi-fi” systems to shame, and allow each of us to focus not on our equipment, but on something far more worthwhile: the music.